It’s constantly drummed into each and every one of us to not “judge a book by it’s cover”. However, 70 pages in and I feel that it’s perfectly acceptable to publish my initial thoughts on my current read. “When we Chinese girls listened to the adults talking-story, we learned that we failed if we grew up to be but wives or slaves. We could be heroines, swordswomen. 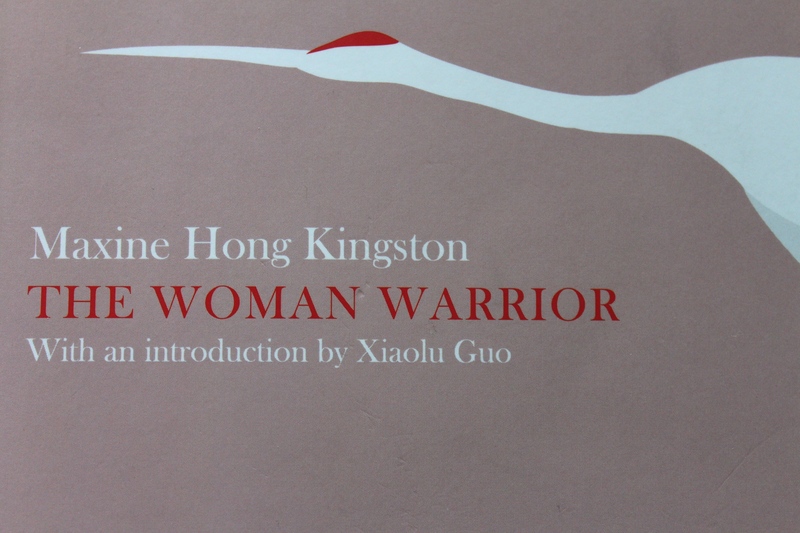 Throughout her childhood, Maxine Hong Kingston listened to her mother’s mesmerizing tales of a China where girls are worthless, tradition is exalted and only a strong, wily woman can scratch her way upwards. Growing up in a changing America, surrounded by Chinese myth and memory, this is her story of two cultures and one trenchant, lyrical journey into womanhood. The Woman Warrior has been described as “enchanting” by The Guardian and I must say I agree. As a text, thus far it has been completely encapsulating. I was prepared for the blend of memoir and folktale and I was therefore dubious about the fluidity. I had no reason to doubt or to worry as it has been working perfectly up to this point. Maxine Hong Kingston is brutally honest in style through her memoir and manages to intertwine fantasy and reality simply, yet beautifully. I am really enjoying reading this book and for this reason I’m not even dreading the three hour train journey I’m taking early tomorrow morning. Here’s hoping it continues at such a level and helps me to beat the bore of travelling. It continued at “such a level” and was a fantastic read. Highly recommend this.